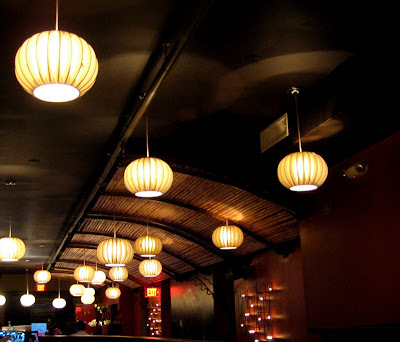 Had an amazing dinner at Raw on Friday night. It’s not a place I would normally go to, because it’s sorta on the fancy pants side. Not super snooty or anything, but most people that go here are dressed up. Like glittery and shiny and such. And I’m not typically one to hang around glittery and shiny people. But when M invited me out, I couldn’t say no. And man, we had such a surprisingly good meal. The place is sizeable, one long dining area, along with some outdoor dining. You would never know it from the outside how big the place is or how nice it is on the inside. It’s next to capogiro, but it’s almost like an alleyway because the street on that block is so small. 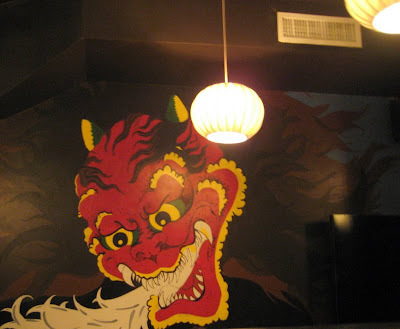 The decor is nice and bold with asian accents, but not in a cheesy way. It’s quite tasteful! Very warm, with all the deep red paint and all. 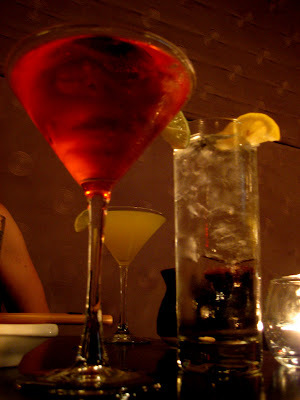 Cocktails! And really strong ones to boot. Miso soup. Their version is very mis0-y! They definitely don’t skimp on the miso. So if you like that, then you’ll be happy. 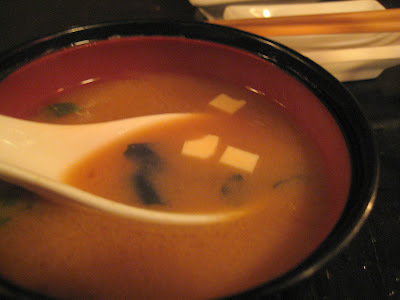 I like all kinds of miso soups, strong or weak, so I liked it regardless. M’s friend R had told us to get a very specific roll, but it was not on the menu, and it was not one of the specials either. Disappointing. But that’s ok! 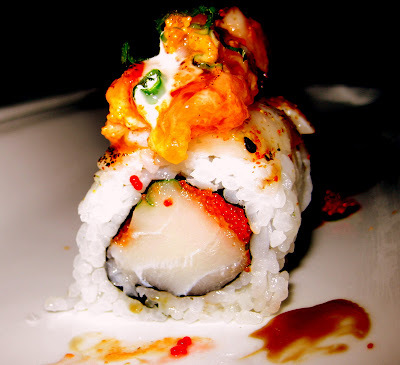 We got one of the special rolls – the white tiger. Holy lord was this good! And hello, they give you seaweed salad with it! And I love me some seaweed salad. 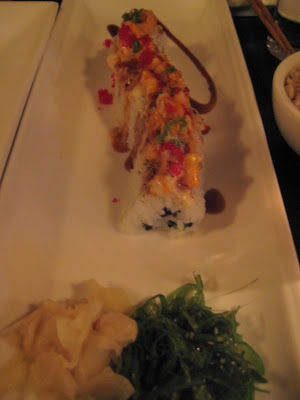 Behold – white tuna in the middle, with some seared white tuna on top, and then topped off with some spicy white tuna. Gah, this was one of the greates things ever. And their rolls are nice and big! They’re pricey, yes, but you get a lot! My goodness, goodness was this delicious. The fish was amazingly fresh. Like crazy fresh! 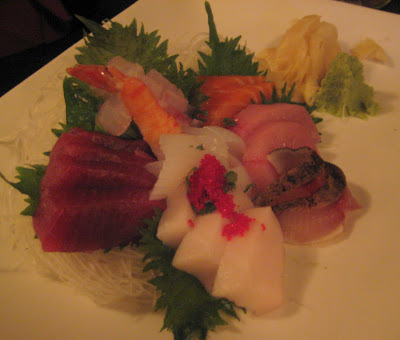 And the freshness of the fish was just so obvious with the sashimi that we got. First off, this was a lot of fish, and really lovely thick cuts. You don’t get scrawny fish here! And everything was just so amazingly fresh, you could just tell with every bite. I haven’t had fish this fresh in such a long time… perhaps since I caught my own and ate it! And this was tons of food for two people. I said this place is expensive, and yes, it sure is, but the quality of the food and the freshness of the fish kind of make it totally worth it. And you’re hearing this from the queen of frugals. I would totally go back here. Yes, I said it. I would come back to this fancy place. It tends to get mixed review, so perhaps I had low expectations. But our meal was superb and I would recommend it highly to anyone.